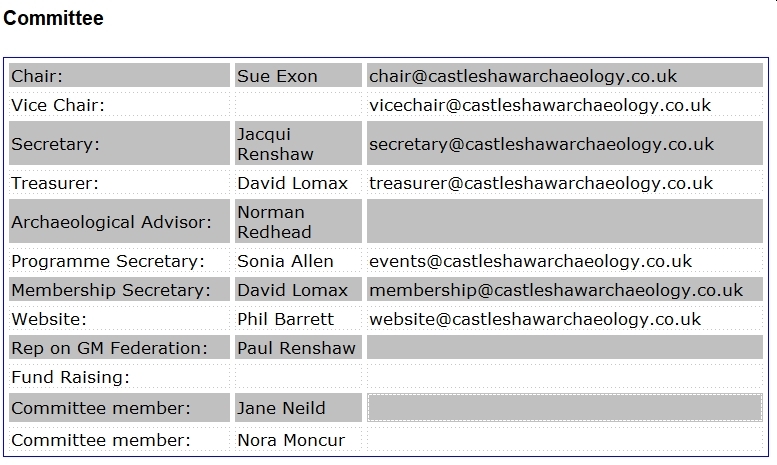 Please Note: Membership of the 'Friends of Castleshaw' implies acceptance of our 'Data Protection Policy'. If you are interested in the friends of Castleshaw Roman Forts, please have a look at our leaflet. If you would prefer to set up a Standing Order for payment of fees, Please see the Standing Order Form. When paying by any form of electronic transfer, please include your name in the 'reference' field so we can see who has paid, thanks.